In this Part, we provide an overview of the audit reports we issued on the 2018-28 LTPs. Of the 7747 reports we issued, 76 included unmodified opinions, which meant the LTPs audited met the purpose statement in the Act and were based on reasonable information. We issued a modified audit opinion for Westland District Council's 2018-28 LTP. This was because the Council did not have reasonable information about the condition of its three waters assets to support some of its financial forecasts. (We discussed this audit modification in paragraphs 5.23 to 5.24.) In 2015, we also issued one modified audit opinion (on Christchurch City Council's LTP). In our audit reports for nine LTPs, we drew attention to important disclosures. We did this because, in our view, the community needed to understand and consider the disclosures we drew attention to when reading the LTPs. In 2015, we drew attention to important disclosures in 12 LTPs, including for the Council that received a modified audit opinion. Appendix 8 summarises the disclosures included in the 10 non-standard audit reports that we issued. The rest of this Part discusses the important matters we drew to readers' attention in our audit reports on the 2018-28 LTPs. Local and central government have different planning cycles and make funding decisions at different times. When the councils adopted their LTPs, central government had yet to decide whether to support the proposed projects or initiatives, and how much funding it would provide. We were satisfied that these four councils reasonably forecast funding amounts from central government based on the information they had when they adopted their LTPs. As we noted in our report on councils' consultation documents,50 there is an increased risk that, if funding from central government differs from what the council forecast, the council might need to do more consultation with the community. For three councils,51 we drew attention to disclosures about significant uncertainty in forecast expenditure. Central Hawke's Bay District Council was uncertain about how much it would cost to upgrade some of its wastewater treatment plants to meet resource consent requirements. Hamilton City Council assumed it would have cost reductions from being more efficient in how it delivered services, although it was uncertain how this would be achieved. Hurunui District Council had uncertainty about how much it needed to spend to repair bridges and water supply assets that were damaged in the Hurunui/Kaikōura earthquake. We were satisfied that these three councils reasonably forecast their expenditure based on the best available information they had when they adopted the LTP. However, because of the significance of the uncertain expenditure forecasts, we emphasised the councils' own disclosures in our audit reports. to increase the amount it spends on civil defence and emergency management, which would be funded by way of a special rate. Submissions on the consultation document generally accepted both of these proposals. However, instead of adopting the proposals as presented to the community, the Council decided to fund the increase in the civil defence and emergency management activity by increasing the newly implemented uniform annual general charge, rather than using the special rate that it had consulted on. The Council also updated its revenue and financing policy to reflect this change. The implication of this decision was that ratepayers were charged a different amount from what the Council had proposed in its consultation document. The community also did not have an opportunity to comment and provide feedback on the adopted option. In our view, the Council did not meet the requirements of these sections when it made the decisions outlined in paragraph 8.17. The changes the Council made were beyond the scope of what it proposed in the consultation document, and the community did not have the opportunity for input. The Act does not require us to give an opinion on whether a council complied with legislation when preparing and adopting an LTP. However, we were of the view that it was important for the community to understand what the Council did in adopting its LTP. Therefore, we emphasised the Council's disclosure of its decision-making process in our audit report. We have reported previously on the risks councils face if they do not appropriately follow legislation when levying rates on a community.54 Because of the Council's approach, it has exposed itself to the risk that its decision could be found unlawful if challenged in the courts. The LTP is an important document for the community to hold its council to account. Its primary purpose is to outline the financial and service delivery circumstances that the council faces and the council's proposed response to those circumstances. Two councils – Wairoa District Council and West Coast Regional Council – did not meet this statutory deadline. Consistent with 2015, when three councils did not meet the statutory deadline, we referred to this breach in our audit reports. The requirements for preparing an LTP have remained unchanged since 2015. Councils should be able to plan effectively to meet the statutory deadline. The New Zealand Society of Local Government Managers has six principles it recommends councils apply when preparing an LTP. One of these principles is "long-term planning requires project management disciplines". We fully endorse using project management disciplines when preparing an LTP. We urge all councils, and Wairoa District Council and West Coast Regional Council in particular, to review their project management processes when preparing their 2021-31 LTPs. 47: As noted in footnote 11, we did not carry out an LTP audit for Kaikōura District Council, because it prepared a customised three-year plan instead of an LTP. There was no audit requirement for the three-year plan. 48: Chatham Islands Council, Ōpōtiki District Council, Queenstown-Lakes District Council, and Waikato Regional Council. 49: See Controller and Auditor-General (2018), Long-term plans: Our audits of councils' consultation documents , page 7. 50: Controller and Auditor-General (2018), Long-term plans: Our audits of councils' consultation documents . 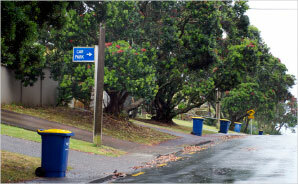 51: Central Hawke's Bay District Council, Hamilton City Council, and Hurunui District Council. 52: Local Government Act 2002, section 78(1). 53: Local Government Act 2002, section 102(4)(b). 54: See, for example, Controller and Auditor-General (2014), Local government: Results of the 2012/13 audits , Part 2. 55: In a practical sense, councils had until 2 July 2018 to adopt their audited LTPs, because 1 July 2018 was a Sunday. 56: Local Government (Rating) Act 2002, section 23.